Post production created the biggest workload for me. I had to ensure all my film work arrived safely back in the UK to be developed and scanned. Customs are fairly switched on when it comes to travellers with film and I only had one incident on the return journey where it looked like I was going to have to unroll some 120 film. As it was a more senior member of staff stepped in and recognised it for what it was. On return to UK the colour film went to the lab. I develop my own colour work normally but didn’t want to risk all of my work. Plus I only have the ability to develop limited amounts in one go so it would have taken a lot longer. 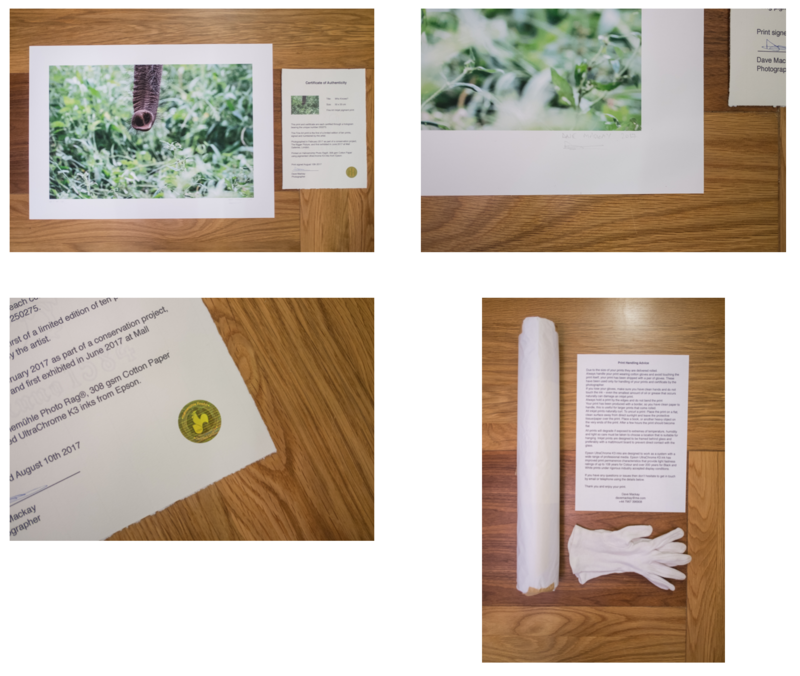 It was slightly un-nerving putting all of my work from the project in the post and in the hands of others but thankfully it all came back good. My black and white work was all developed by me but thanks to the University of South Wales I did it all in two days. 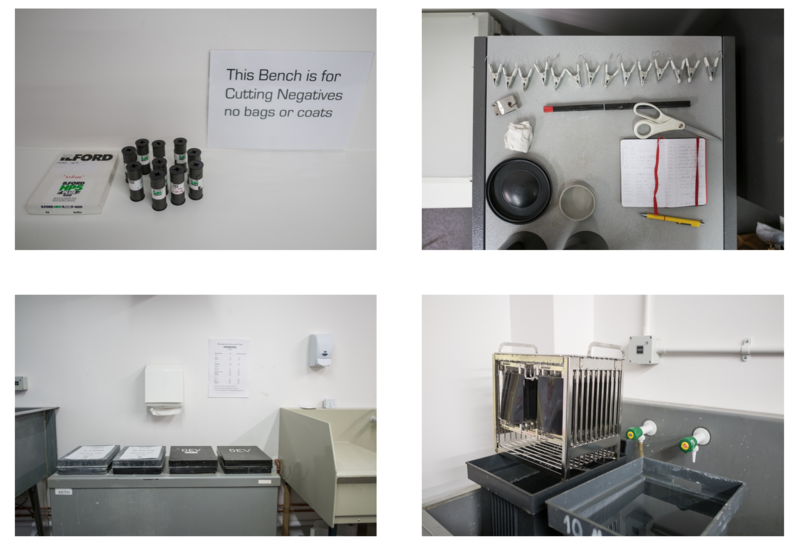 The Uni allow alumni to use the facilities so having access to the deep tanks and drying cabinets meant I could bulk develop my sheet film as well as my 120 film. They also allowed me to use their Hasselblad scanners which are far superior to my own when it comes to large format negatives. It was good to see some of my old lecturers and even some fellow alumni floating around. The editing process proved extremely time consuming, deciding what to exhibit meant working with Freddy to make sure the complete body of work was cohesive. His work was conceptual but very much aligned with my images and the underlying messages behind them. A similar pattern emerged with Dieter’s work too but that only became apparent after all the editing decisions had been made. 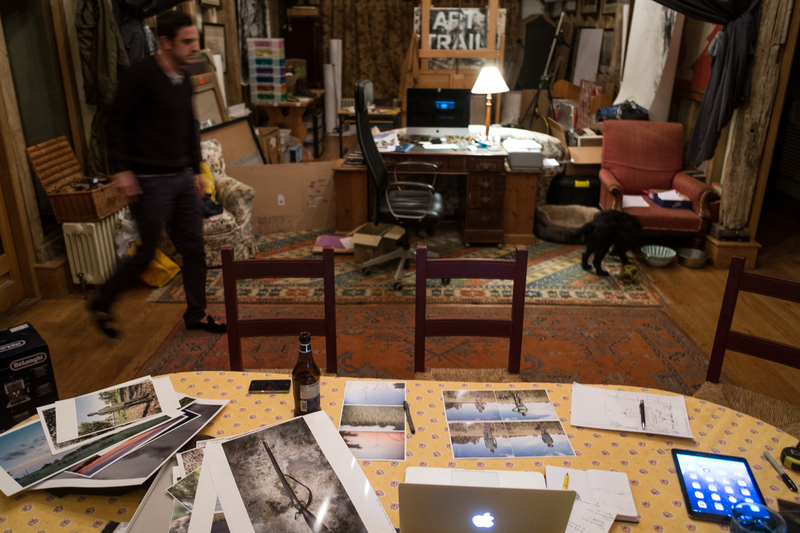 Exhibition decisions with Freddy in his studio, Hampshire 2017. Once my scanning was done sitting down and cleaning the negatives up ready for print took up the bulk of my time. Due to the size of the proposed prints being meticulous with spotting the images paid off in the long run. All of my images were printed onto Hahnemuhle Photo Rag 308gsm paper by Hello Blue in Bristol and turned out perfect. They were then framed in handmade frames by Nick at Fisheye Framing in Aldbourne, Wiltshire. The only other challenge I came across was pricing and working out how to authenticate my work. Pricing is always going to be tricky but for the original pieces I worked on the basis that they were costing a fair bit to produce and fifty percent of what they sell for is going back to the scouts. 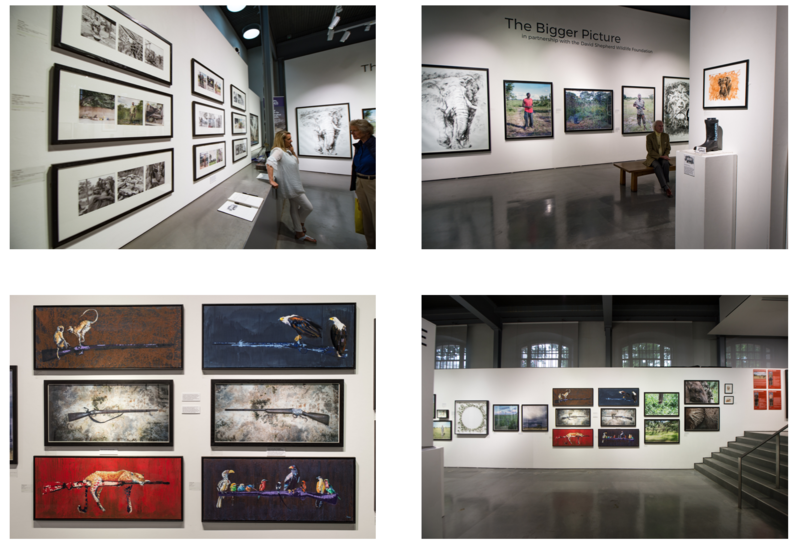 I also decided to produce limited edition prints of each image. Signing prints was a dilema. Originals were framed full bleed without mat so signing the front wasn’t an option. I’ve ended up signing the rear in pencil and applying a Hahnemuhle hologram from their authentication kit to go with a certificate that I have produced. The same applies for the limited edition prints but they are signed and numbered on the front in the white border that they are printed with.